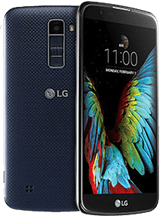 Learn how to unlock your AT&T LG K10 with few simple steps and our easy to use unlocking instructions, permanent unlock solution with 100% Guaranteed. The unlocking service we offer allows you to use any network providers SIM card in your LG K10. The best method to network unlock LG K10 is by LG K10 Sim Unlock code. Every LG K10 has a precise 15 digit code called IMEI number and by providing that IMEI number you can obtain LG K10 unlock code, and by entering that LG K10 IMEI Unlock Code you can get your LG K10 IMEI unlocked forever. This means unlock code is a series of numbers which can be entered into the phone via the phones key pad to remove the network restriction and allow the use of other domestic and foreign networks. How To Find IMEI # Of LG K10 AT&T? You can find IMEI # of your LG K10 under the battery or you can dial *#06# and IMEI # will pop up and you can note it down. You can read more methods of how to find IMEI number of your phone here. How To Order LG K10 Unlock Code? Ordering LG K10 Unlock code is as easy as it gets. All you have to do is select the network your phone is locked on, than type your IMEI # your E-mail address and press the BUY NOW button and in given time we will send you your LG K10 factory unlock code via E-mail. How To Enter LG K10 Sim Unlock Code? Method of entering LG K10 Unlock Code is simple, just swap your sim with a non-accepted sim and “Enter unlock code” or “Network unlock pin” menu will pop up. Just enter the code you have received and your phone will be unlocked. Why Unlock Your LG K10? Unlocking your LG K10 by LG K10 Unlock Code will give you freedom to use it with any network any where in the world and you dont have to pay roaming charges. You can read more about benefits of unlocking your phone here. This is one time and permanent unlock solution for your AT&T LG K10 locked with any carrier. This unlock is compatible with any firmware and base band version. Once you have unlocked your phone successfully it remains unlocked even after firmware updates. Why Unlock Your LG K10 With LetsUnlockPhone.com? The best thing about our AT&T mobile unlock code service is that we provide 24/7 support and the code works worldwide. We also assure of a 100% refund if somehow we are unable to unlock your AT&T mobile which is once in a blue moon case. Specs of Lg K10 are listed here.